This 18th-century musical party is full of colours and thrills. 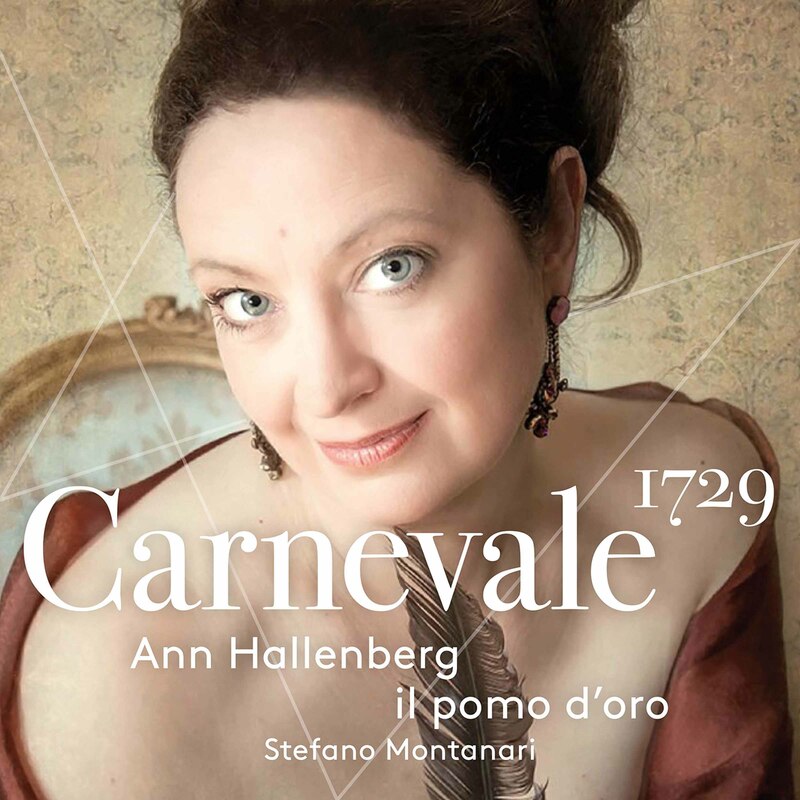 With her latest album, Swedish mezzo-soprano Ann Hallenberg invites her listeners to join her and Il Pomo d’Oro at the greatest musical party of them all: the Venice Carnival. The year is 1729 and the city’s public opera houses are fierce rivals for the time and money of the many carnival visitors. Competing in a crowded market seems to have spurred composers to new heights of virtuosity and expression, and the result is this dazzling collection of arias – all performed within the eight-week period of carnival festivities. The composers included here may start with unfamiliar names – Geminiano Giacomelli, Giuseppe Maria Orlandini – but by the second disc we’re into the big names of the period, with music from Albinoni, Leo, Porpora and Vinci. What’s interesting however is the consistent quality. Hallenberg’s research (in partnership with her musicologist husband Holger Schmidt-Hallenberg) takes a lot of the credit for sifting through the sheer volume of material, but chance historical events also play their part. An unlikely concatenation of circumstances meant that in the winter of 1729 three of the world’s greatest singers – mezzo Faustina Bordoni and the castratri Senesino and Farinelli – all converged on Venice. The result was a musical duel with semiquavers as ammunition, a battle the like of which the city had never seen. Hallenberg’s mezzo is a blissfully refined voice, agile and utterly, easily precise through coloratura passages, capable of both soprano-like, ingénue delicacy at the top of her range and meatier, full-blooded colours at the bottom. All get an airing here. There are meteor showers of semiquaver brilliance in Albinoni’s Fio ch’a spuntar se vede, while Hallenberg and the orchestra take a gutsier approach to Orlandini’s storm-tossed number Scherza in mar la navicella and Porpora’s blazing In braccio a mille furie, where the tone is more oaken and the textures rougher and more characterful. The filmy delicacy of Hallenberg’s ornamentation finds a graceful showcase in Porpora’s Bel piacer saria d’un core from Semiramide Riconosciuta, and she relaxes beautifully into the endless legato of Orlandini’s Vedrò più liete e belle and the proto-Mozartian poise of his Quanto bello agli’occhi miei. Under Stefano Montanari’s detailed direction, Il Pomo d’Oro once again demonstrate why they’ve become the go-to band for baroque recital albums, mining such riches from their accompaniments, with obbligato soloists (notably the exquisite violin in Porpora’s Il pastor se torna aprile) matching Hallenberg’s rhetorical care in their articulation and phrasing. Carnival has rarely been this classy. A masterclass in baroque vocal pyrotechnics from the best. ★★★★½ Tognetti’s crack band backs classy Russian mistress of the roulades. On the eve of her Australian Brandenburg concerts the firebrand coloratura reveals the parts that other singers are afraid to show. The young French countertenor on why he’s taking eight months off singing to smoke and drink.